A long time friend and physician sent the wheels to turning recently while lecturing on Ephesians. As he spoke on God's creation of man, he told us the story of his first encounter with death during medical school. While looking at the body, the thought occurred to him that the human body is a marvelous thing. You can take cells from many parts and grow other cells. In an average lifetime, the human skin completely replaces itself 900 times. Blood can be removed from our vascular system and placed in another to serve the purpose of supplying oxygen, nutrients, and fighting infection. In recent years, medical science has proven parts from one can be used by another. 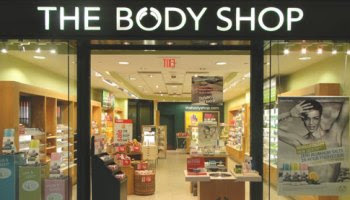 It would seem we are heading to having body shops on every corner. We are truly fearfully and wonderfully made. If you have ever been present when someone's heart beats for the final time or seen them take their last breath, that is another marvel. When that last breath is drawn and you are still gazing into open eyes, it is quite evident their spirit is gone. The person who once was inside that shell has departed. Quite figuratively, "They have left the building." One minute you see the window to their soul while gazing into their eyes and the next second they are gone. Death of our bodies can sometimes be a slow fade, the departure of our spirit is instantaneous. Here one second and gone the next. There is a great deal of time, effort, and money spent on taking care of our temporal shells. 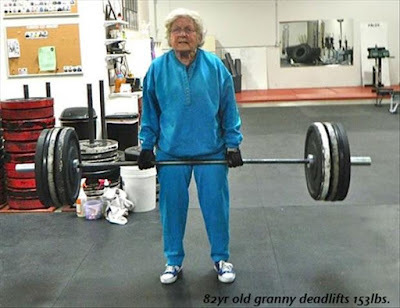 As you age, the the effort grows exponentially with each year. My exercise efforts are all about enjoying to the fullest the final chapters. Couch potatoing has no appeal and staying active is extremely important. Therefore I spend usually and hour or two almost everyday in some effort to keep this shell in the best shape possible. Add to that the time spent in fooling with my hair and smearing on a little make up and I would dare say at least two hours of everyday is spent keeping this temporary shell going. My body is temporary, but my spirit is eternal, and yet I spend more time keeping the temporal in tip top shape than the eternal. What is wrong with this thinking? Unable to understand the concept of eternal and believing the message of The World, I have confused what is important. It is not the shape of the shell, but the depth of the eternal which is important. How many hours a day do I spend on the eternal? Convicted! 4 These tents we now live in are like a heavy burden, and we groan. But we don’t do this just because we want to leave these bodies that will die.
. 5 God is the one who makes all of this possible. He has given us his Spirit to make us certain that he will do it. Good Lord ... you are cheerful today, Lulu ... what? I remember attending a friend of mine's funeral. I'll never do it again. I don't like to attend funerals on the principle that these people will not attend mine. Anyway, this friend of mine was a clown. He lay there in the open coffin wearing his costume and with his face painted with a big smile. I have never seen him look better alive. They could not close the coffin with the lid because his big feet protruded upwards from the coffin. A lot of clown friends attended and left whoopie cushions on the church pews. Great fun when we all sat down after the first hymn. Every so often the hearse would backfire and play the circus music melody on loud speakers. The doors fell off. The steering wheel came off in the driver's hands. The driver's seat suddenly was raised in the air with the driver still in it. The car exhaust suddenly blew out a lot of confetti. At the grave, every time the coffin was lowered in the hole it bounced back up on springs. Now ... have I cheered you up, Lulu? Who knew they bury you with shoes on, Victor!! Lulu, hi! Your dedication to keeping yourself healthy and strong is always an inspiriation. When I read your posts and see those pictures of you climbing and hiking and using all that strength God gave you, I leave challenged and encouraged to close the laptop, grab my sneakers, and get out walking yet again. Thank you, friend, for propelling me onward and upward! Lulu, it is important to keep ourselves in good physical shape, but not forget to strengthen our spiritual health, too. Great points you've made here, my friend!